Boys Solomon (C, rear) and Joe (R, rear) stand in the ”red zone” where they are being treated for Ebola at the Bong County Ebola Treatment Unit about 200 km (120 miles) east of the capital, Monrovia, in this October 28, 2014 file photo. (Reuters) – For the past five weeks U.S. Navy Lieutenant Commander Benjamin Espinosa has been testing blood samples for the deadly Ebola virus at a mobile laboratory in Liberia. Liberia, Sierra Leone and Guinea have been gripped by the worst outbreak of the hemorrhagic fever on record. The laboratory in Bong County, about 200 km (120 miles) east of the capital Monrovia, has cut testing time to five hours from five days. Nearby patients are being treated in the Bong County Ebola Treatment Unit (ETU). “When I first arrived and visited the ETU, seeing the actual people that were relying on our work … it changed me. Now when we work in the lab, we see the person behind the sample and know that their lives could depend on us. It drives us,” he told Reuters in an email on Sunday. Espinosa, a father of four originally from Colorado, is due to leave Liberia shortly. On Friday he unexpectedly got to deliver the news to Solomon, 14, and Joe, 11, that they were now Ebola-free. Joe and Solomon had been treated in the Bong County Ebola Treatment Unit for several weeks and went home on Saturday. Espinosa said he had a hard time controlling his emotions as he told the boys. More than seven in 10 Americans support mandatory quarantines for health professionals who have treated Ebola patients in West Africa, even if they have no symptoms, according to a new NBC News/Wall Street Journal poll. The survey shows that 71 percent of those surveyed say the health workers should be subject to a 21-day quarantine, while 24 percent disagree. The question of mandatory quarantines exploded into the public debate after nurse Kaci Hickox battled with the governors of New Jersey and Maine over the mandated isolation, arguing that she has exhibited no symptoms and tested negative for the virus. Those who oppose the practice – including top health officials and White House administration officials — say that it is unnecessary and discourages health workers from fighting the Ebola outbreak at its source. Support for the quarantines varies by political party, age and education level. Eighty-five percent of self-described Republicans say they think the quarantines should be enforced, versus 65 percent of Democrats and 60 percent of independents. Ninety-one percent of Tea Party backers also believe the quarantines are necessary. Older Americans are also more likely to back mandatory isolation for the health workers. A third of those 18-34 years old oppose the requirements, compared with just one in 10 seniors. The poll was conducted October 30 through November 1, 2014. The margin of error for the poll question regarding Ebola quarantines was 5.73 percent. Carrie Dann is a national political writer for NBCNews.com. She has worked for NBC and NBCNews.com since 2006. Dann writes about politics and Congress. Dann rejoined the web team after 18 months as a campaign reporter for NBC News, covering presidential and vice presidential candidates during the 2012 election. She also covered the 2007-2008 presidential campaign for NBC, including extensive reporting on the Iowa caucuses. Prior to her work at NBCNews.com, Dann was a staff reporter at CongressDaily, where she covered lobbying and government reform. A Virginia native, she now lives in Washington, D.C.
(Reuters) – A U.S. nurse who challenged quarantines of health care workers returning from treating West African Ebola patients said on Sunday she thought “an abundance of politics” lurked behind them. Kaci Hickox has fought a heated public battle over what she considers draconian measures to isolate her for 21 days after her return from Sierra Leone, in a case that highlights the dilemma over how to balance public health needs and personal liberty. In some U.S. states officials such as New Jersey Governor Chris Christie have imposed strict quarantines on health workers returning from three Ebola-ravaged West African countries, but the U.S. federal government opposes such measures. “When Governor Christie stated that it was an abundance of caution, which is his reasoning for putting health care workers in a sort of quarantine for three weeks, it was really an abundance of politics,” Hickox said in an interview with NBC’s “Meet the Press”. “And I think all of the scientific and medical and public health community agrees with me on that statement,” she said. Christie has defended his decision to impose a mandatory three-week quarantine, saying that counting on a voluntary system may or may not work and that protecting health and safety is the government’s job. The most deadly outbreak of Ebola on record has killed nearly 5,000 people, all but a handful of them in Liberia, Guinea and Sierra Leone. Hickox tested negative for Ebola after returning recently from working for Doctors Without Borders in Sierra Leone. But she was placed in an isolation tent in New Jersey when she returned before being allowed to leave for Maine, which also sought to quarantine her at home. A judge in Maine on Friday rejected that state’s bid to quarantine Hickox, instead imposing limited restrictions on her. The judge said that Hickox must continue direct monitoring of her health, coordinate travel plans with health officials and report any symptoms. Speaking to NBC from Fort Kent, Maine, Hickox indicated she would continue to stay away from crowds in her community, but that her partner, Ted Wilbur, should be allowed to go back to nursing school on Monday. “I understand that the community has been through a lot in the past week and I do, you know, apologize to them for that,” she told NBC. Only one person in the United States is currently being treated for Ebola, a New York doctor, Craig Spencer, who cared for patients in West Africa. His condition was upgraded by New York City health officials on Saturday to “stable” from “serious but stable” at Bellevue Hospital. In Oregon, test results were awaited for a woman with a fever who was hospitalized in an isolation unit on Friday after returning from West Africa, Oregon health officials said. 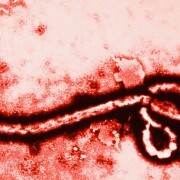 She had not come into known contact with Ebola patients while in Africa, the officials added. The projections are complicated, but Ebola has been a fairly predictable virus — extremely infectious, contagious only through contact with body fluids, requiring no more than 21 days for symptoms to emerge. Human behavior is far less predictable — people get on airplanes, shake hands, misdiagnose, even lie. Those quarantines “could both reduce the number of contacts for imported cases, as well as increase the travel burden on — and perhaps reduce the number of — U.S. volunteers planning to support the effort in West Africa,” he said. In a second simulation, Northeastern University professor Alessandro Vespignani projected between one case — the most likely scenario — and a slim chance of as many as eight cases though the end of November. MADRID (AP) — A Spanish nursing assistant who recovered from an Ebola virus infection has left the isolation unit where she was being monitored and moved to a normal room, a hospital statement said Saturday. Teresa Romero tested positive on Oct 6, but was declared cured of the virus 15 days later. She was the first known person to contract the disease outside of West Africa in the latest outbreak. Madrid’s Carlos III hospital said that Romero, 44, was now being attended by hospital staff that no longer needed to wear protective outfits. Romero was able to reunite with her husband, Javier Limon, and other staff members at the hospital. The statement said tests confirmed Romero was free from all traces of the virus in her body fluids. Romero had treated two Spanish missionaries who died of Ebola in August and September after they were flown back to Spain from West Africa. She still needs to recover fully from the after-effects of the serious infection.